The center-left coalition is set to win control of Italy’s lower house but is short of winning a majority in the Senate, according to election data released by the interior ministry early Tuesday. 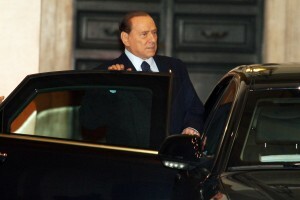 The data were based on votes from 99.9 per cent of polling stations, showing that Democratic Party leader Pier Luigi Bersani and his leftist coalition secured a narrow victory in the lower house with 29.55 per cent of the ballots counted, only 0.38 percent higher than Silvio Berlusconi’s alliance. However, the election’s final results are still hanging in the air as front-runner Bersani’s coalition only won 121 seats in the 315-seat Senate, while billionaire Berlusconi won 117 seats. According to Italy’s electoral laws, any party or coalition needs 158 seats in the Senate to become a majority. The party that ranks first but falls short of a majority in the Senate will be given additional seats to reach majority on a regional basis. The “Bonus rule” has lessened the predictability of the final results as Bersani lost most of the key regions to Berlusconi, while the Five Star Movement’s Beppe Grillo surprisingly grabbed dozens of seats, making it impossible for Bersani to guarantee 158 seats unless he forms a coalition with his rivals. The party or the coalition that wins the most votes in the lower house can be assigned to form a new government. But a prime minister needs the support of both the lower house and the Senate to govern, as both houses have equal law-making powers, which makes the country’s voting system notoriously complex and difficult to be understood even by Italians. Earlier on Monday, outgoing prime minister Mario Monti complained that a similar “Bonus rule” in the lower house could be disproportionate to the voting result. Some officials have said a delicate situation is forming for Italy.